Nathan, Airbnb’s co-founder paid us a visit to announce the big news! 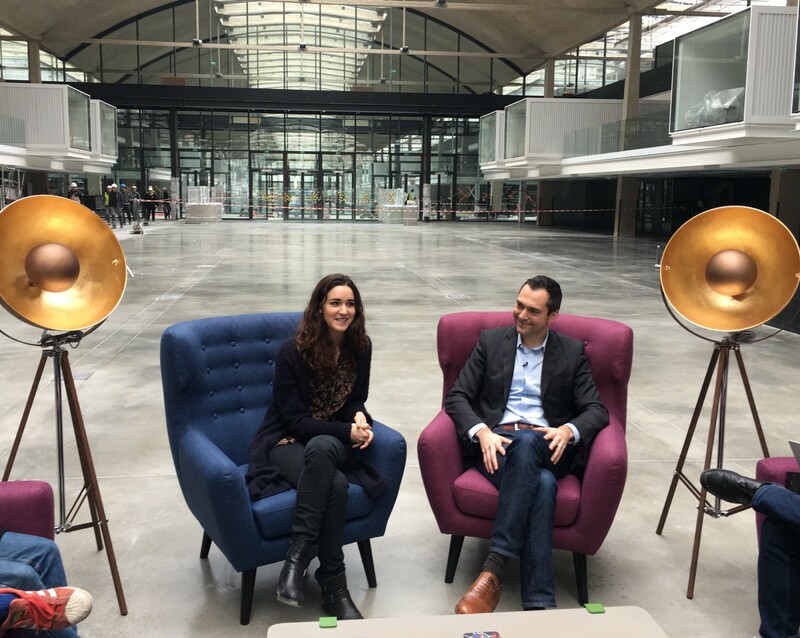 Just like anything else on our startup campus, STATION F has developed a package of exclusive offers that are 100% startup validated, accessible only for founders on campus. These offers appeal to startups and founders of any stage of development, whether you are a super early stage startup looking for cloud hosting, a growing company looking to scale sales, or a tired founder who needs some meditation time. Today we are revealing the first offer of our STATION F package, powered by Airbnb. Because startups have diverse needs and priorities, we are building a wide variety of offers, who all have in common a very high level of quality, and were all recommended by startups. We will be launching STATION F with around 120 different perks, all hand-picked and negotiated exclusively for STATION F startups. What we are building is a true relationship with partners, who dedicate time, energy and expertise, as well as make an effort on their prices to make high-quality products and services accessible to young companies. Our perks will be divided into “Business” and “Lifestyle” categories, because when you are entrepreneur, not only do you need help with your hosting / design / accounting / metrics stack, you also need to live a healthy lifestyle, take some time to take your mind off work, and boost your creativity. Don’t worry, we are also focusing on what really matters and are trying to get you a free dinosaur-breeder practice and some Pokecoins. Work in progress. All of our perks will be accessible through STATION F’s internal online platform, and will be open to all 1,000 startups present on-campus — no matter what startup program you are part of. Airbnb’s story is a truly unique model for entrepreneurs and tons of founders have used it as an inspiration to grow their own companies. Today, entrepreneurs around the world use Airbnb to travel at the best cost but also as hosts to help fund the first phase of their startups’ growth. Because there is such a strong link between Airbnb’s entrepreneurial mindset, and true travel needs for startup founders on campus, we have conceived a specific hospitality programme. This offer is a world premiere for Airbnb and is exclusive to STATION F startups. Startups that are members of our Founders Program will be able to participate in Airbnb’s startup challenge, granting 5 startups a €2000 extra coupons, each. In addition, we are working together to build a unique offer around Airbnb’s new concept: Airbnb Experience. STATION F’s will be launching an experience that will offer the opportunity for tourists to visit our campus and discover the world of entrepreneurs. Needless to say, we are thrilled to have Airbnb launching this world premiere with us. We will have loads more exclusive perks coming, stay tuned. If you would like to offer perks to STATION F startups, please get in touch with us through this form, there is still time!